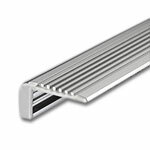 These specially designed extrusions from KLUS are made to illuminate steps and staircases using low voltage LED strip lights. 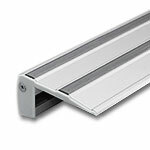 Not only do these aluminum profiles provide safety while lighting steps and stairs but they also have ribbed tops for gripping and traction. 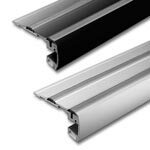 With proper sealing techniques these channels can be used in outdoor architectural applications. 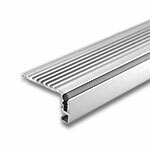 Stop tripping over dark stairs and provide safety for your home and business guests with these specially designed aluminum profiles and Ecolocity LED strips lights.